During the first half against Viktoria Plzen, defender Sergio Ramos added one more victim to his hit-list of players that suffer his relentless elbow aggressions. As we have already pointed out before, Real Madrid defender Sergio Ramos is unhinged and needs to be disciplined from his violent behavior. UEFA and the referee committee needs to start taking notes with this player because he is truly one of the most violent ones in world football, he just keeps going after his markers with those elbows and he keeps repeating himself because no one has taken the necessary measures with his erratic behavior. We had already seen how much damage can Sergio Ramos make when he wants, he took the liberty to injure both Mohamed Salah and Loris Karius during the Champions League final from last season and nobody from UEFA said a single thing. This season in La Liga, Ramos has already hit other opponents and the officials from the Spanish competition also don’t seem to care because he is a Real Madrid player and he obviously gets a pass that players from other clubs don’t. The latest incident has taken place in the Czech Republic during Real Madrid’s 5-0 victory against Viktoria Plzen, Ramos got away with it again and he didn’t even get booked. The worst part of this was that unlike the final against Liverpool, Real Madrid didn’t need the dirty football that Sergio Ramos plays when the club is not having their best day. Many might say that this wasn’t intentional, but when a certain action keeps repeating itself, it simply can’t be considered as an accident. Sergio Ramos knows very well what he is doing and where he places his forearm when he tries to protect the ball or get ahead in the position as he struggles with a rival player. It’s all about that nasty habit of always placing his arm in a very dangerous area without thinking about the consequence of his actions, this time there was a victim that unfortunately got a fractured nose and bled all over the grass as soon as he received the nasty hit from Sergio Ramos. 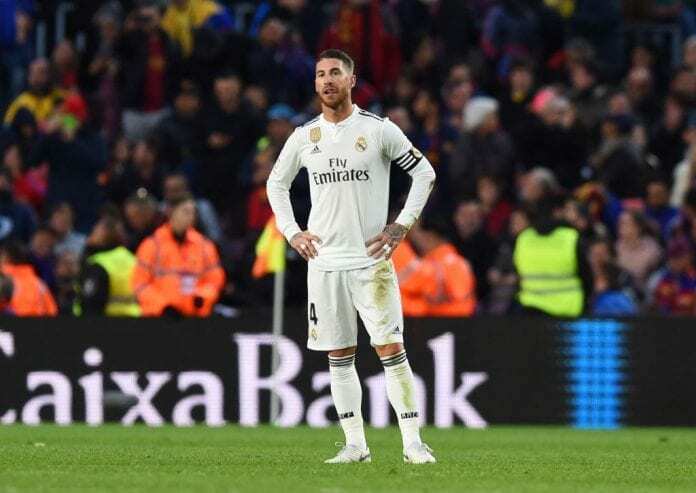 Viktoria Plzen defender Milan Havel was the unfortunate soul who suffered Sergio Ramos’ wrath this time, and the Spanish defender acknowledged the incident after the match but he confirmed that he would never go after any player’s livelihood. “I obviously never go after any of my peers with the intention to hurt them,” said Ramos after the match via Diario AS. 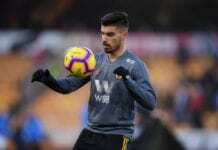 “I have fallen injured many times, I also have broken my nose before, I still remember the nasty tackle I received during the Spain-England match in Real Betis’ stadium and nobody said anything,” he concluded. What do you think about Sergio Ramos’ latest violent moment with a rival this Wednesday? Please share your opinion in the comment section down below.